(*): Expect some slot increase in the next round. 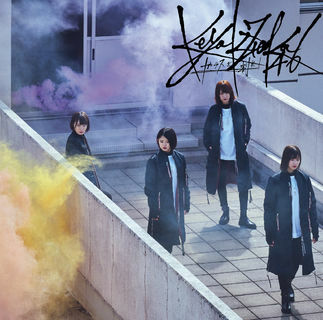 - First single to include 2nd generation Hiragana Keyaki members. 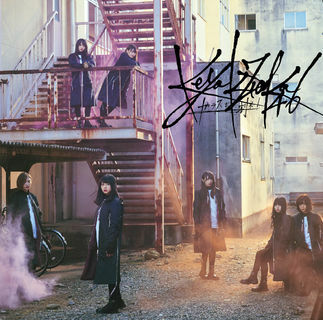 - Excluding Nagahama Neru's Kennin, this is the 6th single to not include Hiragana Keyaki members in the senbatsu. - Hirate Yurina becomes the first member of the Sakamichi groups to center a single 6 consecutive times, surpassing Nogizaka46's Ikoma Rina 5 consecutive streak. 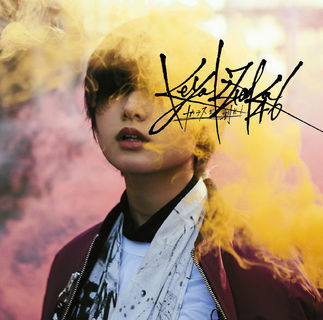 - With this single, Hirate Yurina continues her streak as the only 46/48group member to have a solo cd cover 6 singles in a row (7 releases total, including their album). - Harada Aoi and Kageyama Yuka have reduced their Handshake total slots to 8 and 19 respectively. Reason unknown. The bells of a new center? I hope. MM- Ogata/10ki. Angerme- Kamiko. J=J- Ruru. Kobushi- MinaMina. Tsubaki- Risamaru. I hope we get a new center for Hirate's sake but idk i have a bad feeling management will forget all that's happened the past month lol. I do hope i'm wrong tho. Would be nice to see a Neru or Yuipon center, or even a Zuumin one if she's up for it (health wise). Or could see a surprise and have Uemura or Koike center?! Or even better, a hiragana member! There are so many options I really hope its not Techi. I also hope for a mixed senbatsu with both kanji and hiragana, if they've decided against doing double a-sides. Now that Neru is a Kanji member, this would be the perfect opportunity to become a center. She has the drive and the popularity for it. Harajuku DREAM MATE (ハラ塾DREAM MATE) Showroom Schedule (in JST) : Kuroe Koharu (黒江心温) https://www.showroom...jukumate_koharu School days - 6:30 to 7:00, 19:00 to 20:00. Weekends/Holidays - TBA and 19:00 to 20:00. Iimura Yuna (飯村柚那) https://www.showroom...jukumate_aiyuna Schedule : TBA. Sakamoto Airi (坂本愛莉) https://www.showroom...rajukumate_airi Daily - 21:00 to 22:00. Fukano Hina (深野ひな) https://www.showroom...rajukumate_hina Daily - 6:30 to 7:20, 18:30 to 19:30. Takagi Hana (高木波夏) https://www.showroom...rajukumate_hana Schedule : TBA. Jahana Tia (謝花輝愛) https://www.showroom...arajukumate_tia Schedule : TBA. Kihara Ayaka (木原彩華) https://www.showroom...jukumate_ayarin Schedule : TBA. HDM Official Room https://www.showroom...ammate_official Schedule : TBA (depends on who broadcasting). The schedule is merely a guide, and will change if the girls overslept, busy, or wanna do more broadcast. 3 out of the 7 girls broadcast daily. Wow! A new single?! Well, it's the time already, I only hope a new center, that's my only wish. I'm HYPED. 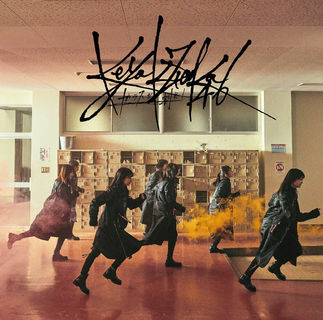 This is my first Keyaki release to follow. I wish for two things: Kanji to stay together and Techi to get rest from being the center. Keyakitte starts in about half an hour. No hiragana members. techi center despite her arm being injured. neru 2nd row despite outstanding photobook sales. koike and habu at the front!! zuumin back in the front!! uemura slight push in the middle row. WYui and Captain parallels have returned. As disappointing as this announcement as, i kinda have this feeling that we're going back to post saimajo era and they're trying to restart. All negative points aside, the formation itself is really solid and i'm excited to see what kind of song they release. I hope this new single will give the group the comeback it deserves. Also, Naru-Chan, Habu is in first row, lucky you!! I'm not surprised, but I'm also not entirely disappointed. I am surprised Neru isn't in the first row though! I agree minaeshi, robbed indeed. I'm excited to hear the songs though! I wonder if another Hirate center will be a good idea? her arm is injured right? how will they shoot the dance scene? with arm sling i guess? or maybe they'll make the whole group wear arm slings & make some gimmick with it? or maybe they already shoot the MV before Hirate's injury? I am kinda interested to know how will they handle it.. I'm actually kinda disappointed that I was hoping for a new center with Hirate on the front row. but maybe the management think that it is too risky for a new center. maybe what they can do is have Hirate as the center but also give Kobayashi & Imaizumi more prominent role in the MV & performance. I just hope Hirate recovered physically & mentally for this single.. This is all I hope for. I don't mind her being center as long as she can do it with heart. I have those mixed feelings. I'm worried about Techi being the center for above reasons, but really happy for Habu! I also hope that Yuichanzu will have some exposure being placed right next to the center. It's good to see that they got their push. Besides Habu, Miichan is also in 1st row, that's not common, so I'm happy about it. Also happy for Uemuu and Ozeki in 2nd row, they're also a rare sight there. And like you guys, I'm also very surprised that Neru is still only a 2nd row center. Like waaaat. Anyways, I can't wait to hear what the song is like. Title - Glass wo Ware!!
" ’15 has become a completely new Morning Musume。, but I want to treat the history that has been handed down to us preciously. If there was a book about Morning Musume。’s history, I think I would be happy to see my name left there." I love it but at the same time I feel like so much more could have been done with the music video? They could have had more locations and given it a better story line. 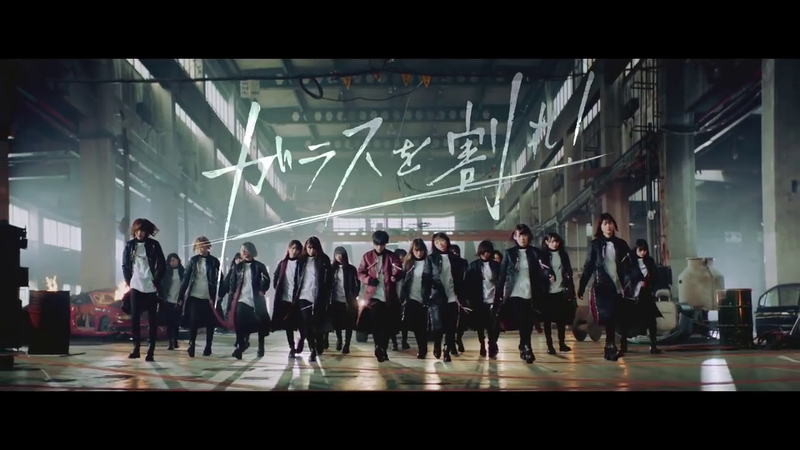 I still think it's a pretty awesome MV though! And the girls who we could see (lol) looked amazing! Kinda disappointed Mona wasn't at the front because she would have KILLED it! - Where's my Habu? x''D She's in the 1st row and still you can barely see her. x''D (I think I saw Mona and Pe-chan more who are 2nd row girls this time. x'D) I can only guess that her hair is even more shorter now? 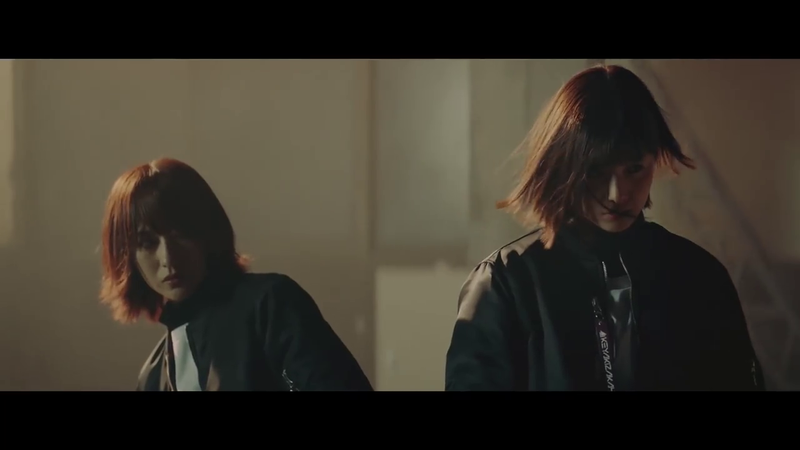 - I like the MV, it kinda looks like an Arashi or Tohoshinki MV to me, definitely not a girl group's one, but that's what I love in Keyaki anyways. - I also would have appreciated a bit more close-ups of ANY OTHER girl than Techi. Nothing against her, she had very good expressions and energy for the song, but still. - Btw I love the song. 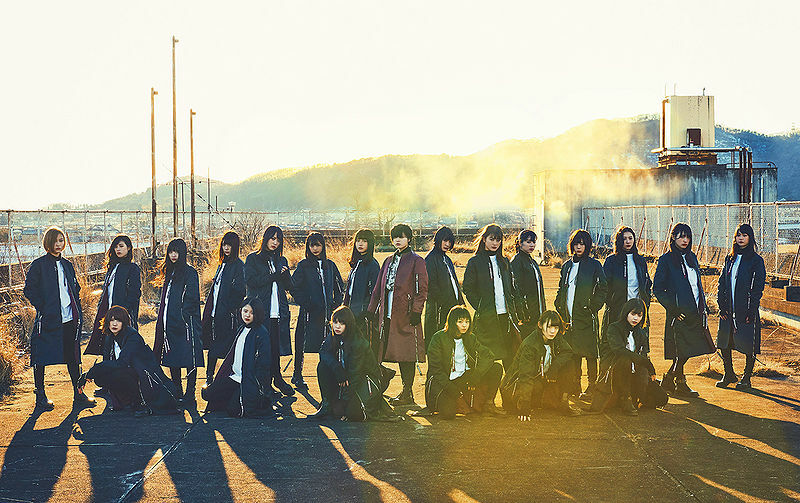 I'm excited for both Hiragana songs, especially 2nd gen's, since I haven't heard a preview of that. Also very interested in the Ozeki-Miichan-Neru song. I wonder if it'll be a cute song or a ballad or what. I can't imagine Ozeki doing a cute song, but hope she proves me otherwise. 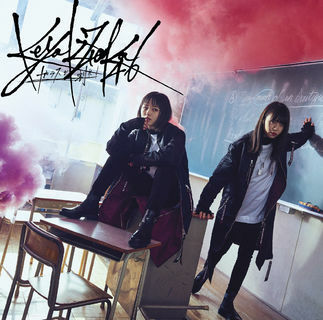 - There's so much headbanging and hair flips in this MV, that even when you can see the girls, you can't see the girls. - Sometimes the strange lighting also makes their faces blurred or too dark. - Found Habu! She's the "mop dog" in the close-ups! (Well, the song is about dogs. Badumm-tss.) The front girls all sing their head bent over so her hair's completely in her face in those shots. That's why I couldn't find her at the first look. - I kinda feel sorry for Ozeki's fans. :/ She's in the 2nd row and I still couldn't get a decent screenshot of her. She doesn't have any solo or semi-solo shot or an image shot of any kind and even if she's in the frame, you can barely see her face because of the headbanging dance. At least she got a group song in this release! - Now I thik I ship HabuRisa. They look soooooo cool in ther 2-shots, like omg. Here are the shots of the girls I made. They aren't very good quality, but I'd like to share them anyways. Please feel free to correct me if I recognized somebody wrong. Sometimes I have a problem with this if the makeup or the lighting is different from usual. Who is this? https://imgur.com/46gLcIs I'm very confused. And she was shown for like 1 second and that didn't help either. Akanen? Shiichan? Other? 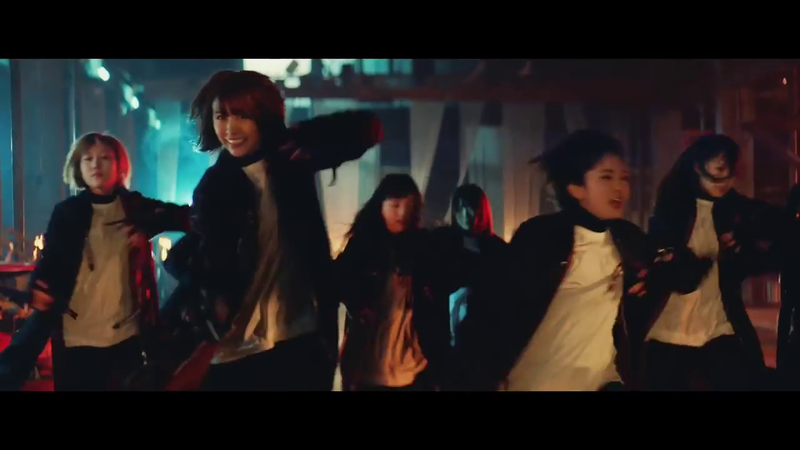 I love Habu's smile in this shot. She's so cute I can't handle it. Edited by Naru-chan, 14 February 2018 - 12:54 PM.